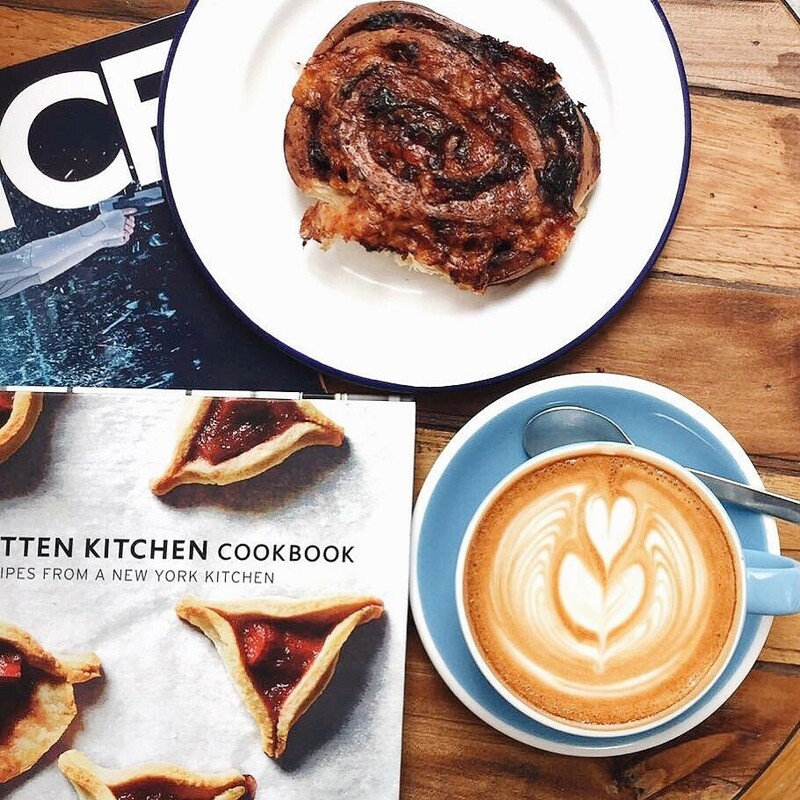 Breakfast is fast becoming our favourite meal of the day, because what’s not to love about buttery flaky pastries, steaming piles of fluffy pancakes, and toasted sourdough loaded with avocado? 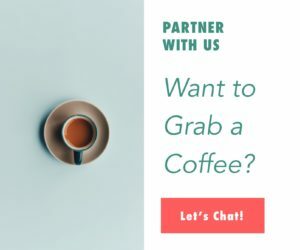 Throw a coffee into the mix and we’re good to go. 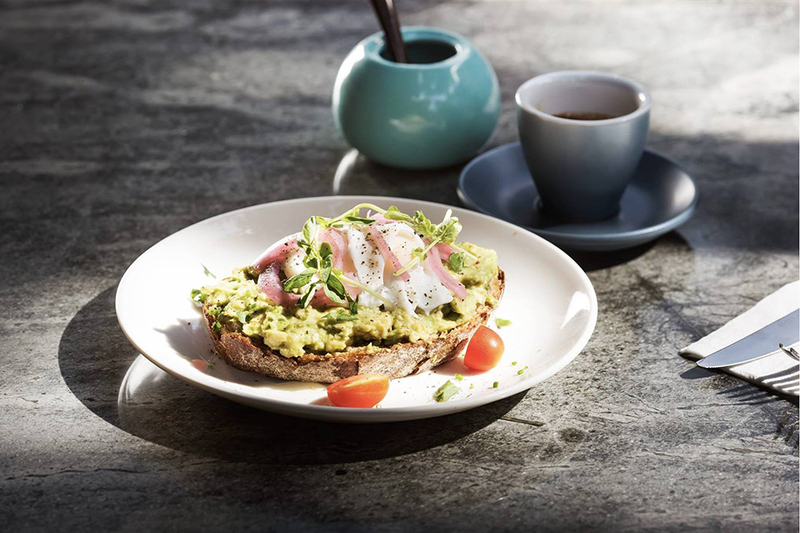 Whether you’re in a rush on the way to the office and need a quick caffeine fix and a bagel, or have the luxury of a leisurely start to the day, here’re a few of our fave places in the CBD where a decent feed first thing in the morning is guaranteed. The coffee at Jewel is where it’s at. Expect new beans with distinct profiles to appear weekly. Not only is the coffee killer, there’re plenty of easy bites to grab for brekky when you’re on the go. From pastries and blueberry muffins (ask for it served warm), to granola pots and savoury muffins filled with egg, sausages, and bacon. Yum. We’re obsessed with the breakfast menu here, though it’s short and sweet – two savoury porridges, two sweet oatmeals, four bagels, and polenta eggs rancheros – it’s all delicious. On rainy mornings you can’t beat a bowl of its warming banana cinnamon oatmeal with sauteed apples, and for hangovers, the guacamole BLT is a lifesaver. Cafe by day, bespoke cocktail bar by night. We love visiting at any time, but especially at breakfast. We’re fans of the avocado and feta toasties, egg sarnies, and healthy yet scrumptious chia seed puddings. Be warned: it’s closed on a Monday. For clean eats and healthy treats, look no further than Food Rebel. 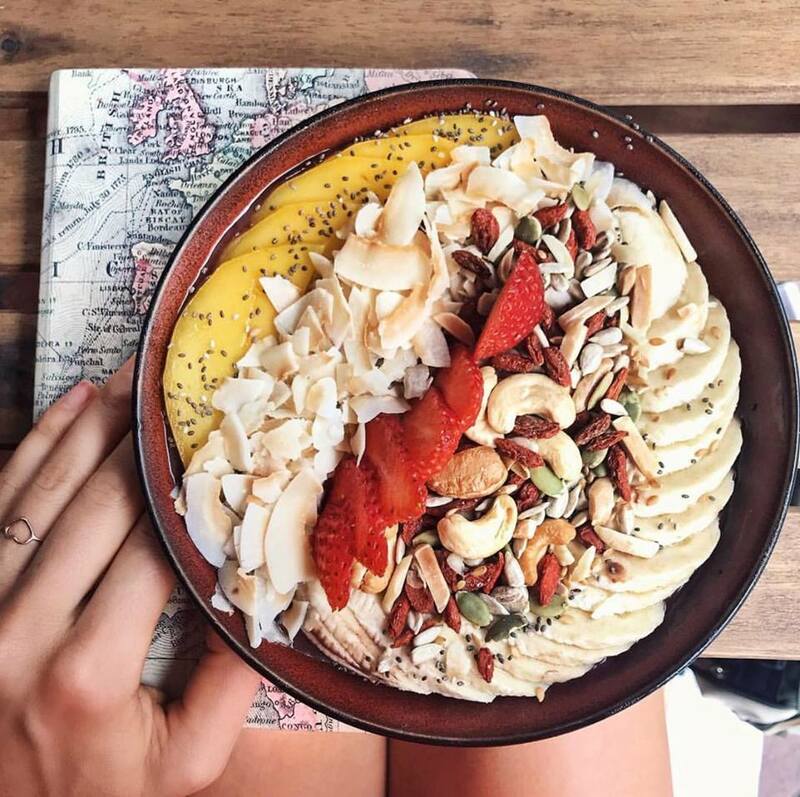 We love popping by after a morning workout to pick up something nutritious for extra fuel, from cooling acai bowls and warming buckwheat porridge with almond butter, to fluffy omelettes with avocado or the ultimate breakfast (eggs, spiced chickpeas, mushrooms, peppers, avocado, and a slab of Aussie grass-fed beef). Say hello to the king of toast. Rock up here for a stellar cup of Sarnies coffee, and treat yourself to something delicious on sourdough. Go savoury with avocado, marinated feta, and zaatar (it’s divine, order it), or melted mozzarella, ham, and fermented garlic honey butter. Alternatively go sweet with Nutella, banana, almond flakes, granola, and honey or good ol’ peanut butter and jelly. Alternatively, choose your own topping from a myriad of yummy options like Vegemite, espresso butter, or chocolate coconut hazelnut butter (and yes, that tastes as good as it sounds). A must-visit when nothing less than a bacon and egg sandwich will do. Unsurprisingly, the breakfast sarnies, muffins, and wraps here all hit the spot whatever you decide to stuff them with. 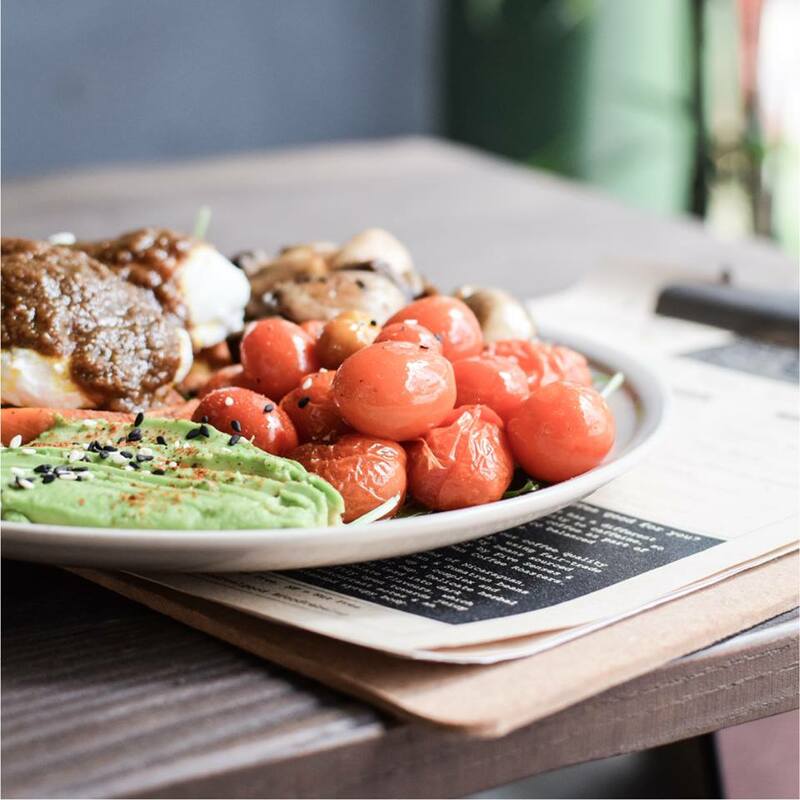 Or if you want to go big, opt for the breakfast of champions; a plate piled high with steak or salmon, scrambled eggs, mixed greens, guacamole, and tomatoes. Clean eating never tasted so good. If you haven’t tried a sandwich from PBD then you haven’t lived. Hit it up for breakfast and you won’t be disappointed. The menu in the morning is limited but solid. Our favourites include the straight up; soft scrambled eggs, cheddar, caramelised onions, and sriracha mayo on a brioche bun, and the fried egg power; double fried egg, crispy bacon, tater tots, cheddar cheese, and PBD sauce. Put it on the list for your next cheat day. 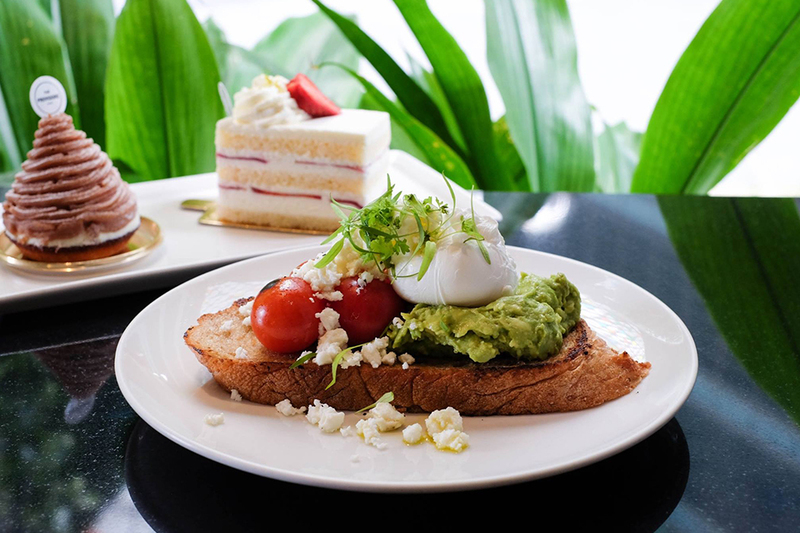 The Providore is our go-to for breakfast meetings. In the mornings it’s busy, but not bustling and serves up a classic breakfast menu featuring a little bit of everything. Keep it simple with toast, muesli, or fresh fruit, or opt for something heartier like Spanish baked eggs, eggs Ben, or ricotta pancakes. The smell of fresh pastries wafting over from the bakery is also hard to resist. We were pumped to see Common Man launching its latest outlet on Stanley Street, particularly because it serves breakfast all day. 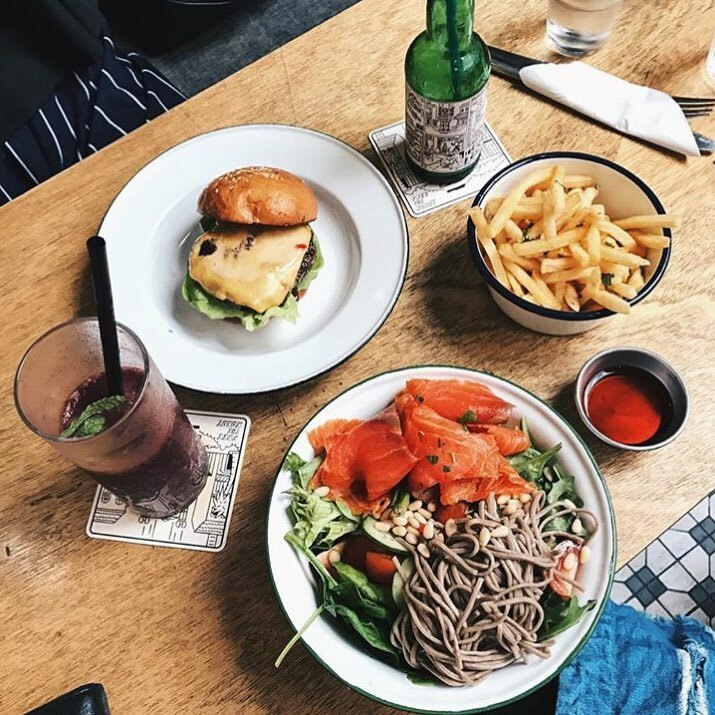 If you’re in a hurry, grab a bagel filled with cream cheese or smoked salmon, but if you’ve got some time to kill we recommend pulling up a pew and working your way through the delicious brekky menu. It features delights like marmite mushrooms on avocado toast, halloumi, zucchini, and herb fritters, and fluffy pancakes with caramelised bananas, walnuts, salted caramel sauce, nut crumble, and berry coulis. 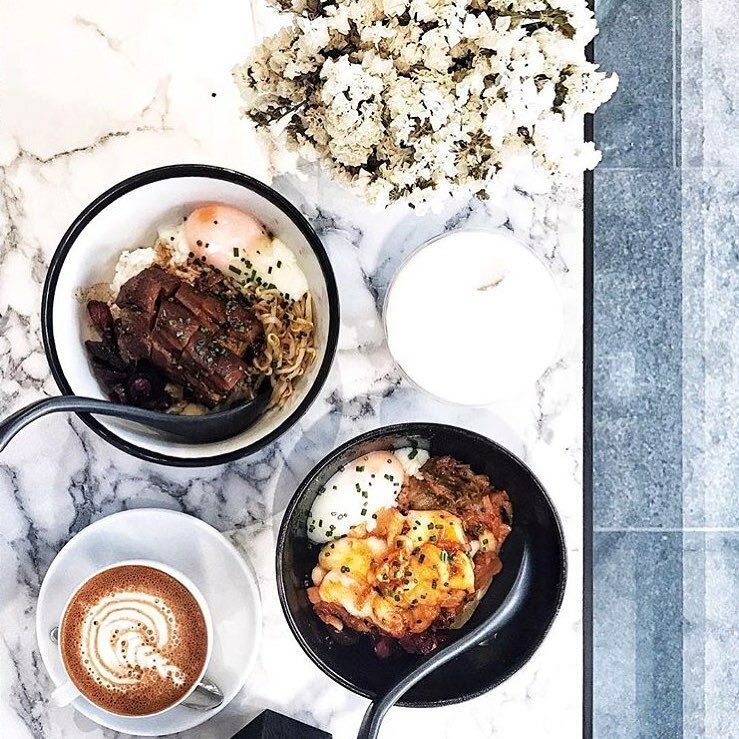 Top coffee, minimalist vibes, and hearty dishes make LUNAR a sound choice for your first meal of the day. We love the sound of shakshuka with onsen eggs, spiced dukkah, and chorizo in a herb tomato ragout with toasted sourdough. They also serve up an array of croissants and pastries for those on the go. The build-your-own breakfast concept here is a winner. Head to the pimp my breakfast section of the menu and construct a feast from the myriad of options ranging from the expected (eggs any way, bacon, baked beans, avocado, tomato… you get the gist) to curveballs including homemade kimchi, cauliflower cheese, homemade ricotta, and trout roe. Don’t knock it ‘til you try it. 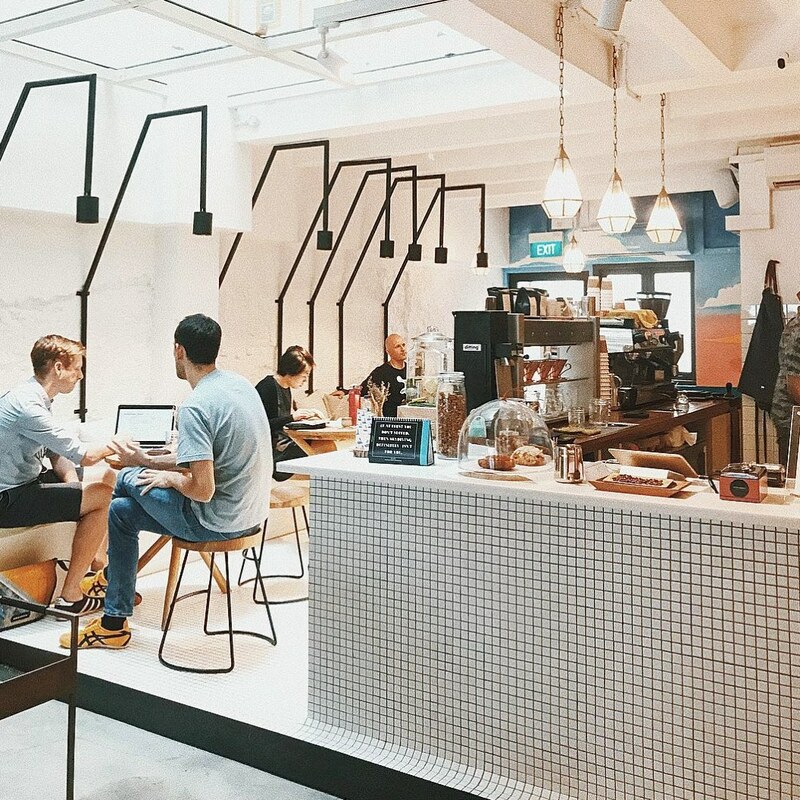 Head to the back of this men’s clothing store (which btw gents, is worth checking out) and you’ll find a cute cafe serving up great coffee and an array of artisanal toasts and pastries. Toast comes served with either cinnamon, Nutella, lemon, or apple; the perfect morning pit stop if you’re craving something sweet.